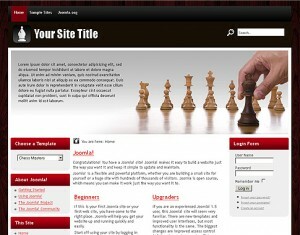 Become a virtual chess master with the brand new Chess Master Joomla 1.7 template. The theme supports red, green and orange color schemes. It’s free to download! Check out what we have for your baby store – Baby Center is offered in green, blue, and pink and supports a banner image slideshow. Gearing up to join the fight club? 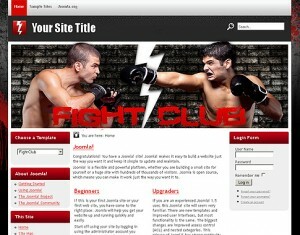 Now you can do it at no risk with this new Joomla 1.7 template we have for you today. Available in red, grey, and blue color schemes. Cheers with our new Joomla 1.7 template. Offered in brown, green and red! On a day like today, we all do guising/ trick-or-treating and, of course, say ‘Cheers’. Our ‘Cheers’ to you is this new eye-pleasing Joomla 1.7 offered in 3 ‘beer’ colours. 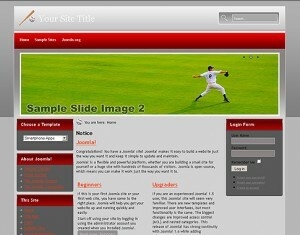 The new Baseball Joomla 1.7 template is available in red, green, and blue. A rotating banner area and all the sleek Joomla 1.7 features are supported too. Check it out!